Senate Republicans aren't sure what they're going to vote on this week — yet their options are vastly different. They all would make massive changes, but to different parts of the health care system, and with different winners and losers. The "repeal-only" bill — which would gut most of the Affordable Care Act without replacing it — would likely cause the individual market to collapse in most of the country within 10 years and would end the ACA's Medicaid expansion, but would leave traditional Medicaid basically untouched. The "repeal and replace" bill, on the other hand, would be far gentler to the individual market but would make much deeper cuts to Medicaid. Why this matters: While none of the options on hand are likely to pass, it's important to remember that the Senate GOP isn't having substantial debate about these big ideas. They're just trying to find something that will get 50 votes. Here's a rundown of the biggest differences between the two leading two bills under consideration. The first, the Better Care Reconciliation Act, is the leading replacement plan — although what's in it is certainly subject to change, including a controversial addition from Sen. Ted Cruz. 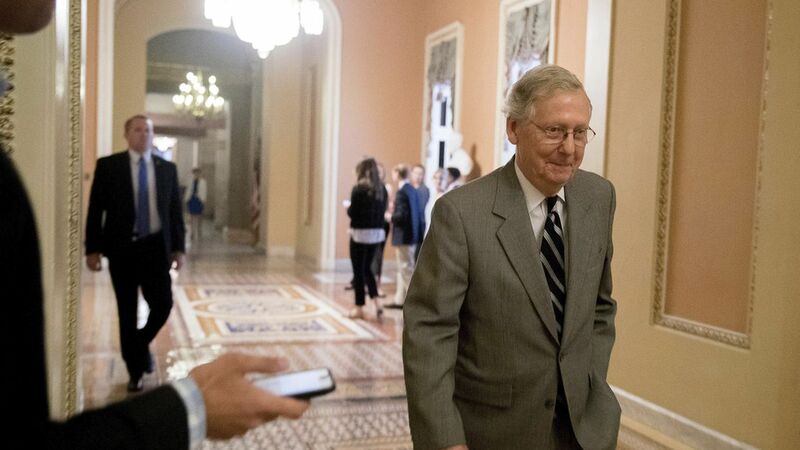 The second is an updated version of a 2015 repeal bill passed by Congress and vetoed by President Obama, which would gut major pieces of the ACA beginning in two years. The BCRA (with the Cruz amendment) addresses these in two major ways. First, it would let states waive some of the law's regulations, like essential health benefits. Second, the Cruz amendment would allow insurers offering ACA-compliant plans to also offer noncompliant plans. This would likely create two separate markets: One mostly for healthy people, and one mostly for sick people. The repeal-only bill doesn't touch these, although there's an argument that if there are no functional exchanges in the majority of the country, people with pre-existing conditions don't have much access to affordable health care. The BCRA largely keeps the ACA subsidy structure intact, but makes the subsidies less generous, especially for older people. It also substantially increases patients' cost-sharing . The repeal bill eliminates all federal financial assistance in two years. This will hit low-income people exceptionally hard. The repeal bill completely repeals the expansion in two years. The BCRA creates a new way of funding the traditional Medicaid program. It would institutes a per-person funding cap, and calculates that cap using a formula that most experts say would not keep up with rising medical costs. The repeal bill generally doesn't touch traditional Medicaid.